Driving from Cape Town it is virtually an hours drive and very easy to find. The entrance to the estate is well marked and welcoming. Driving towards the main building I was very impressed with the view of rolling lawn,willow trees and a small dam with water fowl going about their business, but what caught my attention was the site of the single trail that could be seen on the hill behind the white washed building. Walking into the restaurant to purchase the days permit, I was met by the friendly Micky Dollie, the restaurant manager, and chief in charge I think. He was helpful in pointing me in the right direction and orientation with the trail map which is also available from him. And off we went. Shew....what can I say but grin from ear to ear. 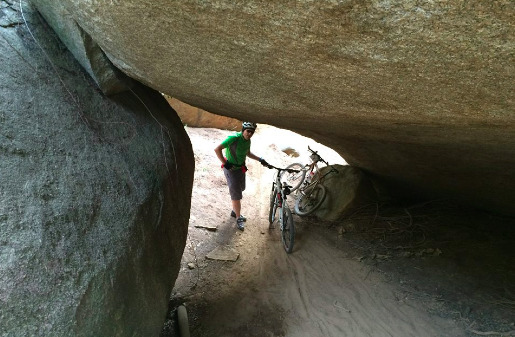 The trail leaves from the main parking area and after circling the dam, heads of into the hills and winds its way through a mixture of Paarlberg granite formations, stumps, switchbacks till blue in the face, a cave and endless single track. Two routes are available to choose from and both named after the local wines. 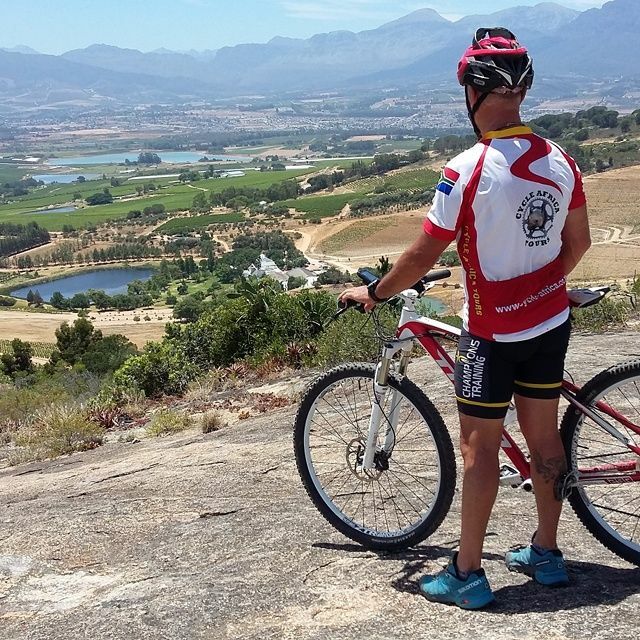 Chardonnay - 14km and the Shiraz Route – 21km with the option of extending into the Paarl Nature Reserve. The great thing about this Estate, is that 95% of the trail is AWESOME single track. We decided to extend into the reserve and this made for a longer trip, exhausting but enjoyable. On entering the Estate we took the Shiraz (extension from the Chardonnay) and all down hill. 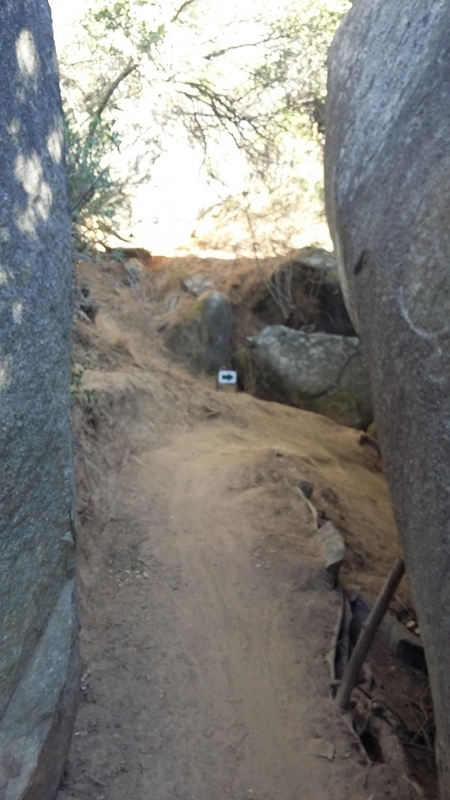 The switchbacks were never ending and the trail offered some interesting surprises in form of narrow passages through granite boulders with rutted away underground, over hanging trees (watch that head) and undulating single track. Awesome stuff and a mountain bikers dream !! FLAT ROCK - 3km trail for children and walkers. CHARDONNAY - 5km trail for runners, walkers and MTB. HILLSIDE - 10km intermediate trail. 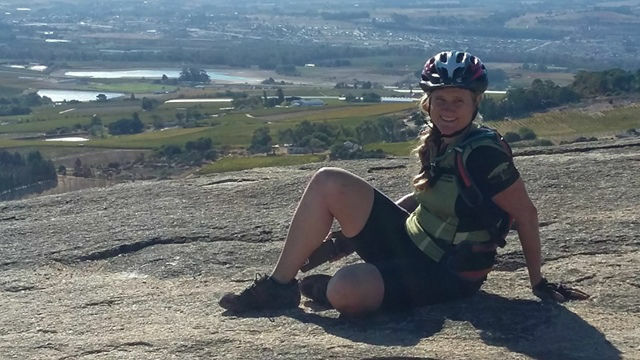 PINOTAGE - 15km trail for the adventurous runner and mountain biker. SHIRAZ – 25km trail for the hard-core runner and biker. For the He's or She's who do not bike, there is plenty to do: Wine tasting next door to the restaurant, horse riding or even rent a quad bike. The kiddies can play on the lawn while the adults relax under the awning. 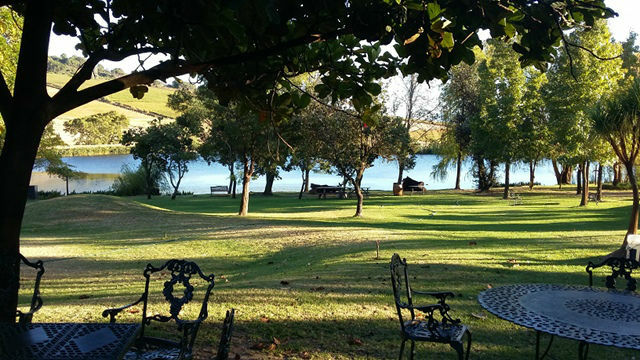 The estate restaurant, Rhebok Restaurant, serves a very good a la carte menu and fitting for the hungry bikers with views from the terrace over looking the garden where your children can play. 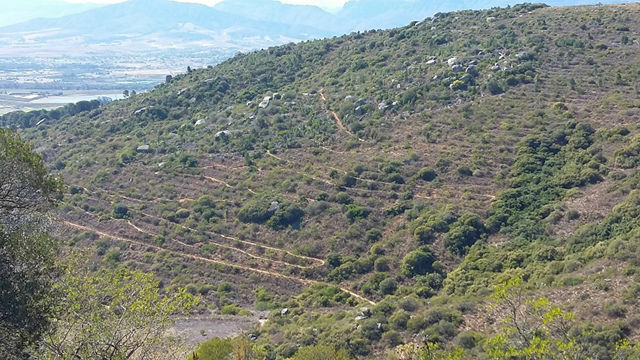 In closing, this was the best single track around BUT definitely for the medium to stronger mountain biker with skills. Talking to Micky afterwards, he mentioned that more development towards Mountain biking at Rhebokskloof is planned and that a serious single trail for the more professional biker is on the cards. I can truly recommend this wine estate for their outstanding single trail, but also the perfect getaway for a family outing. We had such a great time today that we've included this trail into our Cape Town day tours.